Social media has allowed us to remember September 11th through not just major memorials, but small ones, that have just as much impact. Platforms ranging from Facebook to Twitter to Instagram provide an outlet for memorials for those tragic events that touched all of our lives and indelibly changed our nation. Last year, New York Police Department was able to honor the different officers whose lives were lost during the attacks on the World Trade Center. 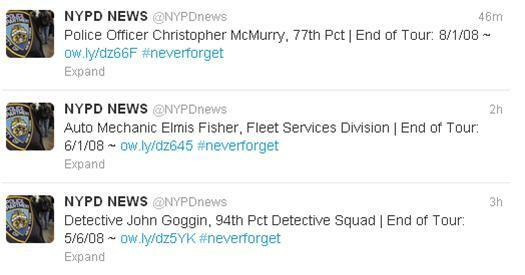 The Twitter account posted the names of the officers, as well as their end of tour date; 9-11-01. These updates served as a reminder of the many public service workers who gave their lives to help citizens of New York that fateful day. Twitter and Facebook have provided other unique venues for the public to share their emotions and stories in this continuously busy world. Last year, Twitter was trending with stories of where each user was when they found out about the attacks. Different age groups were able to illustrate the spectrum of emotions felt when the news of the attacks first broke. Younger users told how they were in kindergarten class during the attacks, and had no idea what exactly had happened. While the older population was able to see the news in their office or on their way to work. In addition to a platform for stories, the Internet has become a place for remembrance in lieu of expensive and time-consuming memorial services. Life unfortunately does not stop on difficult anniversaries, but that does not mean Americans cannot share their thoughts and prayers for each other. A simple status update or tweet provides a short moment of silence, when the day doesn’t allow for a memorial service. According to social media experts, these brief mentions have also helped to increase awareness of the importance of any day, which might have been forgotten years later. Whether it is a moment of reflection, prayer, patriotism, or remembrance, social media has forever changed how Americans will commemorate September 11th, and all that was lost on that day. 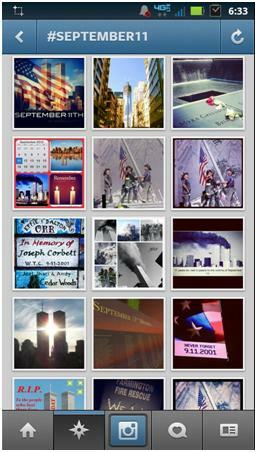 How else have you seen others using social media to commemorate 9/11? Tell us in the comments, and on our Facebook and Twitter pages. Be sure to visit our website and learn more about our agency and all that we offer in social media.